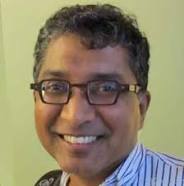 Raghu Ramakrishnan is the recipient of the 2018 ACM SIGMOD Edgar F. Codd Innovations Award for his pioneering work in deductive databases and their application to relational databases in practice. Details: Raghu Ramakrishnan is CTO for Data, and a Technical Fellow at Microsoft. He has previously served as Chief Scientist at Yahoo! and Professor at the University of Wisconsin-Madison, in addition to being founder and CTO of QUIQ, an early online crowd-sourced question-answering company. He graduated from IIT Madras and received his PhD from the University of Texas at Austin. At Wisconsin, he wrote the text “Database Management Systems” and led the development of the widely-distributed CORAL deductive database, as well as projects on data mining, information integration, image databases, and querying ordered data. This early work influenced commercial query optimizers as well as the design of window functions in SQL:1999, and has received the SIGMOD Test-of-Time Award for a paper on clustering and the ICDT Test-of-Time Award for a paper on nearest-neighbor indexing. At Yahoo!, he led the research for major initiatives, including the CORE project that was the foundation for Yahoo’s personalized portal pages, the PNUTS geo-replicated cloud service deployed in 18+ regions world-wide, and Yahoo!’s web-scale information extraction for semantic results in Yahoo! Search. At Microsoft, he founded the CISL applied research team and led the development of Azure Data Lake, Microsoft’s exabyte-scale storage and analytics platform, with research contributions to scale-out tiered storage and resource management in YARN. Ramakrishnan has received the ACM SIGKDD Innovations Award, the ACM SIGMOD Contributions Award, a Distinguished Alumnus Award from IIT Madras, a Packard Foundation Fellowship and the NSF Presidential Young Investigator Award. He is a Fellow of the ACM and IEEE. He has served on the boards of ACM SIGKDD, the VLDB Foundation, and ACM SOCC, and is a past chair of ACM SIGMOD. This site is maintained by volunteers for ACM SIGMOD. We thank you for visiting! If you have questions about the site, please send a note to our content manager. The ACM Special Interest Group on Management of Data is concerned with the principles, techniques and applications of database management systems and data management technology. Our members include software developers, academic and industrial researchers, practitioners, users, and students. SIGMOD sponsors the annual SIGMOD/PODS conference, one of the most important and selective in the field.